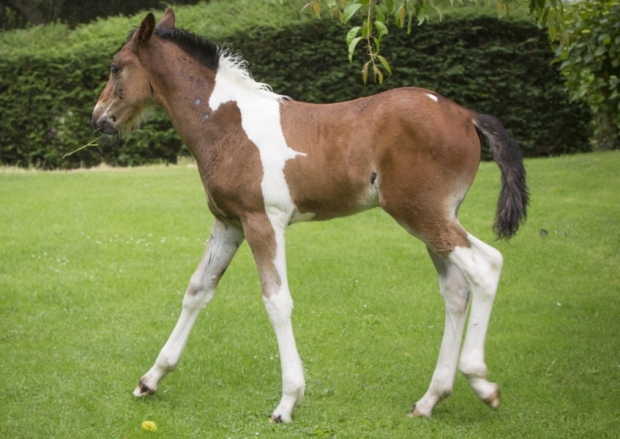 DaVinci is a beautiful nascent foal who was born with a white marking that looks like another horse. The marking goes across his left flank and up his neck where it meets his mane. According to his human at the Flying Hall School at Robin Hood’s Bay, he also has another marking across his bottom.